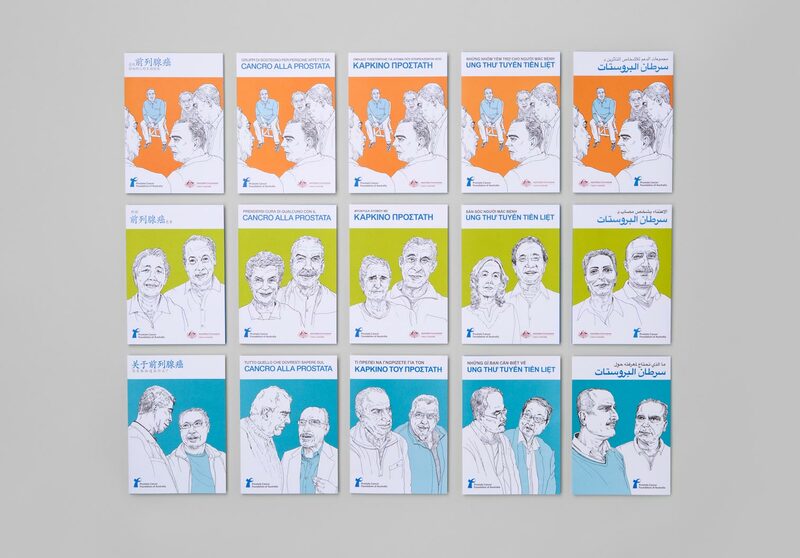 Illustrated visual language and literature system for the PCFA. 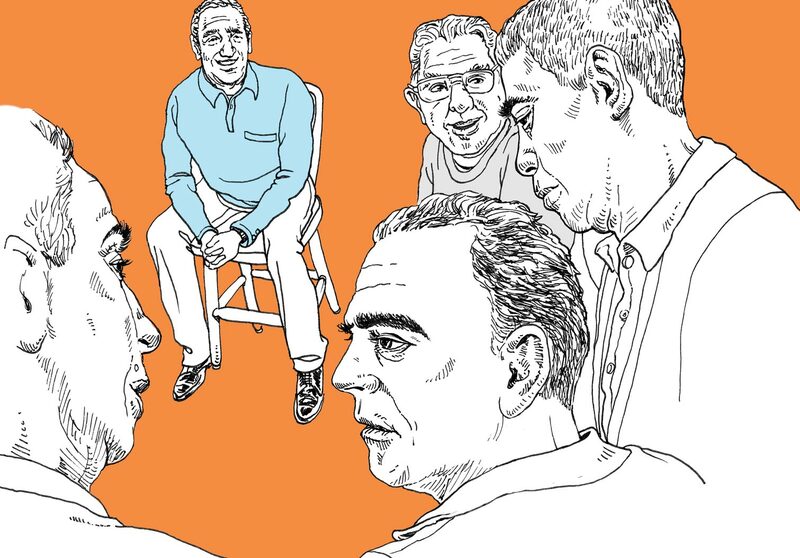 Thought-provoking literature containing important information about prostate cancer. 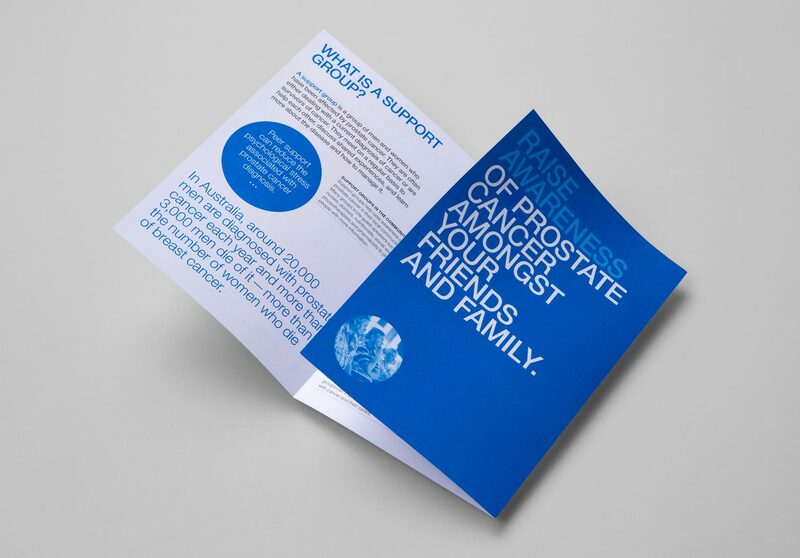 Prostate Cancer Foundation of Australia created a diverse range of brochures for people affected by the disease. 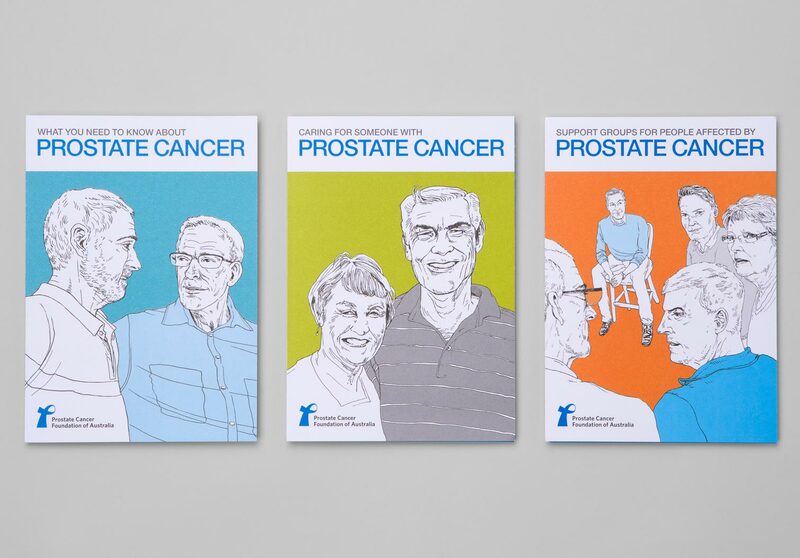 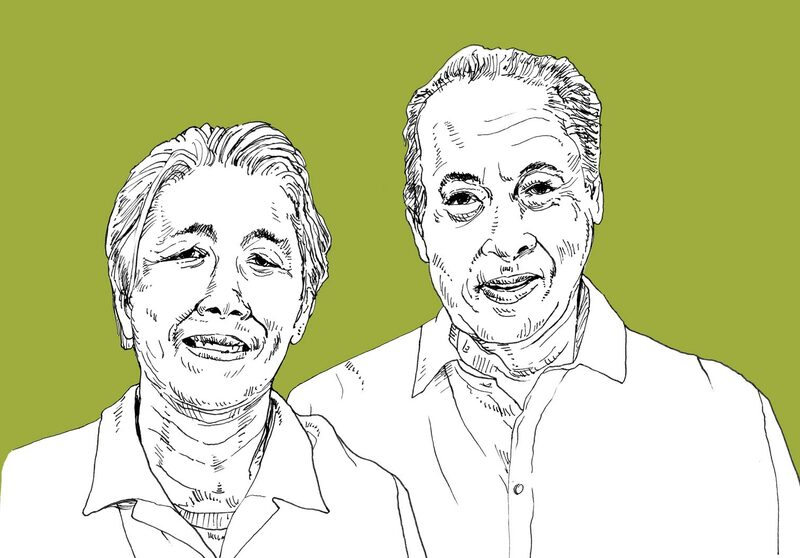 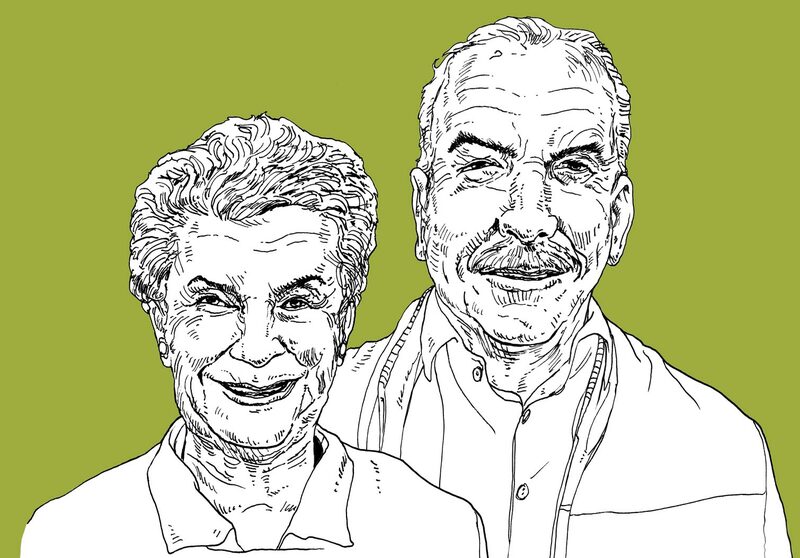 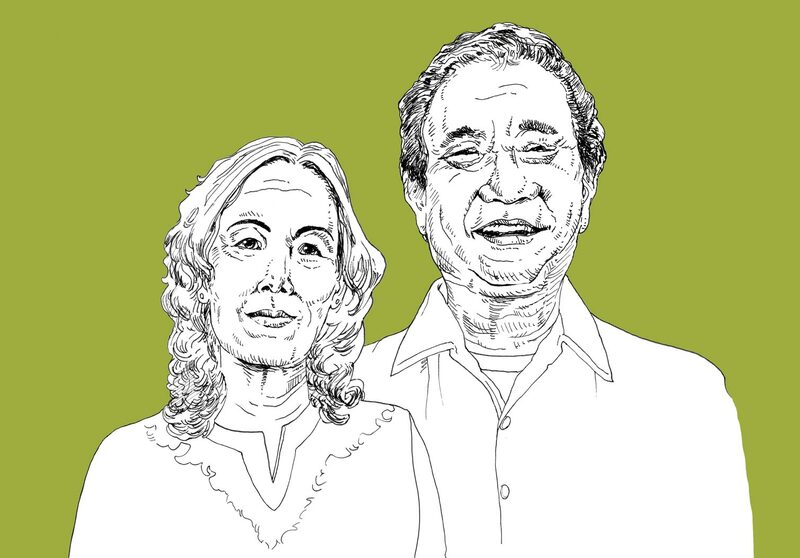 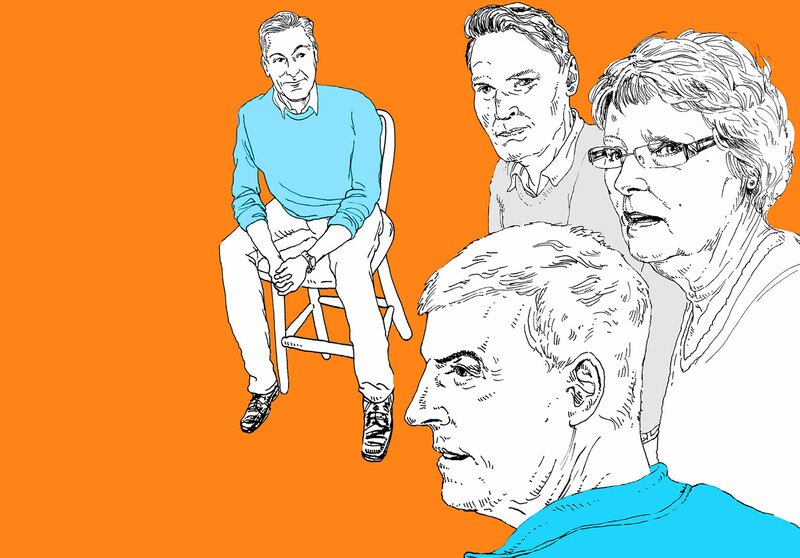 Designed to have a personal quality, illustrations were commissioned of people across Australia in the prostate cancer community who each have their own unique story. 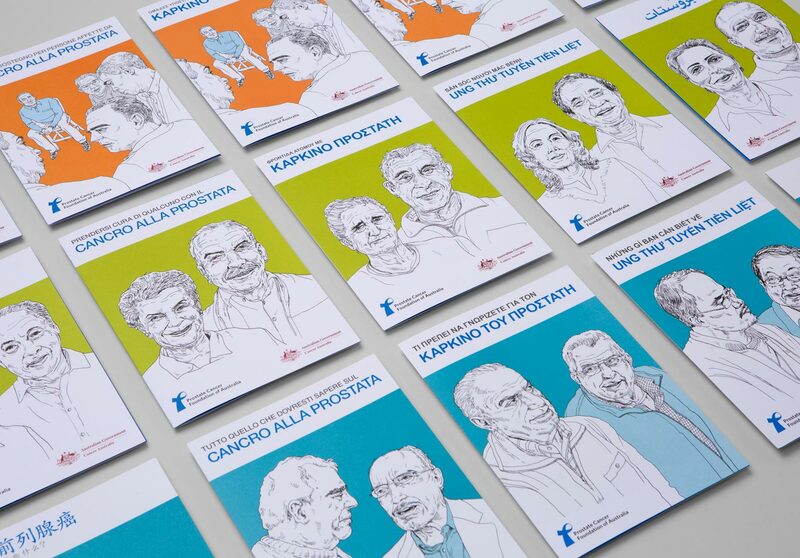 The brochures are beautifully reproduced in special colours on a toothy uncoated paper stock.